Set in a 3000 square meters superbly landscaped gardens on a private white sand beach, TH01 is designated to offer its guests the most prestigious luxury villa in koh samui, Thailand. 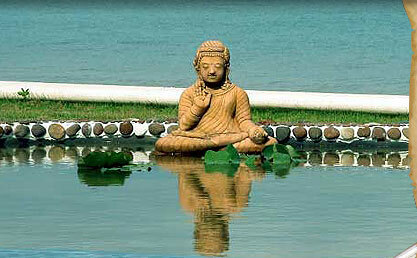 The estate enjoys a stunning sunset view and overlooks the ?big Buddha¦ and neighboring islands. TH01 has been thoughtfully and uniquely designed to take full advantage of the magnificent views, to capture the cooling sea breezes and to maximize outside living. You can relax and totally unwind together with your family or friends in spacious, luxury, comfortably furnished living and dining areas. You will enjoy the tropical garden and the privacy around your swimming pool and beach. TH01 provides all of the amenities you would expect from an exceptional boutique resort. The villa amenities were realized with guest desires in mind: welcome basket bursting with fruit and savory delicacies, A bar offering Fresh fruit shakes and cocktails, Italian coffee and alcoholic drinks, healthy breakfast each morning and house menu of Thai dishes and international snacks all day. Cooking service is also available for any special event. Our staff will pamper you and provide you with all your desires, along with 24 hours security. Entertainment facilities include a home theater, TVs in rooms; snooker table, meditation sala, and many more items to make your perfect holiday. 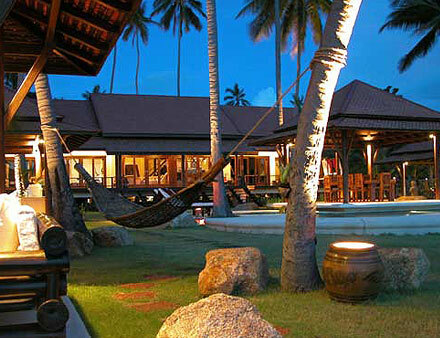 Samui-s major attractions are minutes away. All-inclusive of full-time staff services, including a Thai Chef and a multilingual European Villa Manager, all food and beverages (meals can be taken throughout the day and evening at your and your guests caprice), including a fully stocked bar, airport transfers, security guard. The 10% service charge (staff gratuity) is an additional expense.